Party all around the world in just one night @ the Top Rated & Largest Upscale New Year's Event in San Francisco 12 years in a row! 7 different areas | 5 rooms of music/entertainment | 10 DJs | Live Bands | Performers | Exhibitionists | Taiko Drummers | Photo Stations | Entertainers & more! This is it! Get set for an amazing end to 2018 as we bring you our most anticipated event of the year, the sophisticated, fun & upscale AList 'Passport to the World' New Years San Francisco Spectacular at the luxurious Westin St. Francis. 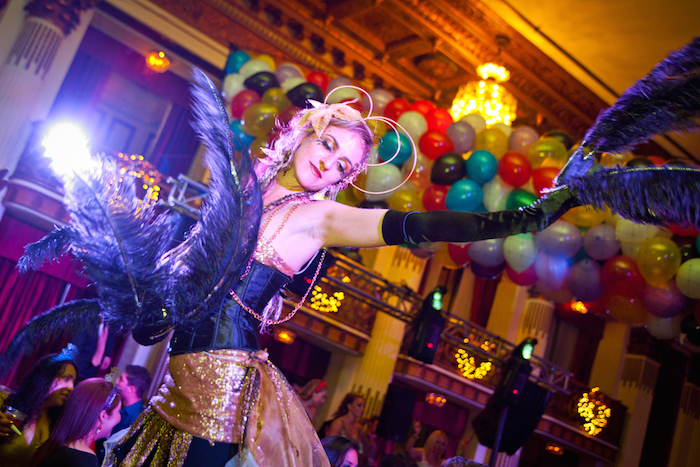 This glitzy, landmark event truly embodies what this great city of San Francisco has to offer! Come experience for yourself the exciting and diverse mix of music, fashion, art, culture, sophistication, and charitable causes as we take you into 2019 in style at the largest and most amazing event in town. Venture all throughout the 20,000+ sq. feet going from room to room, experiencing different music and entertainment in each! 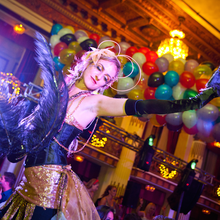 3000+ balloons in the midnight balloon drops, and the largest dance floor in SF in the main USA themed room! Featuring 10 djs playing top40, progressive, 80s/90s, house, alternative, mashup and more! The Spazmatics: Live 80s Cover Band that absolutely rocks it out! The most rockin' & fun cover band - EVER! 'Nerds that Rock' seriously - from humble beginnings as NERDS that really did rock it out, they've branched out across the US and completely crushed it everywhere they've performed! Captivating performances by these uber talented dancers in both the main USA and Europe rooms. 3000+ balloons in the Largest balloon drop in SF.